French Guiana (or Guyane), Suriname (previously Dutch Guiana) and Guiana (until 1966 British Guiana) are situated along the northern rim of South America, yet this relatively obscure region shares little with the rest of the continent. They were never conquered by the Spanish or Portuguese and thus no Spanish or Portuguese are spoken here (they speak French, Dutch, and English respectively), and they are culturally closer to the Caribbean than the rest of South America. 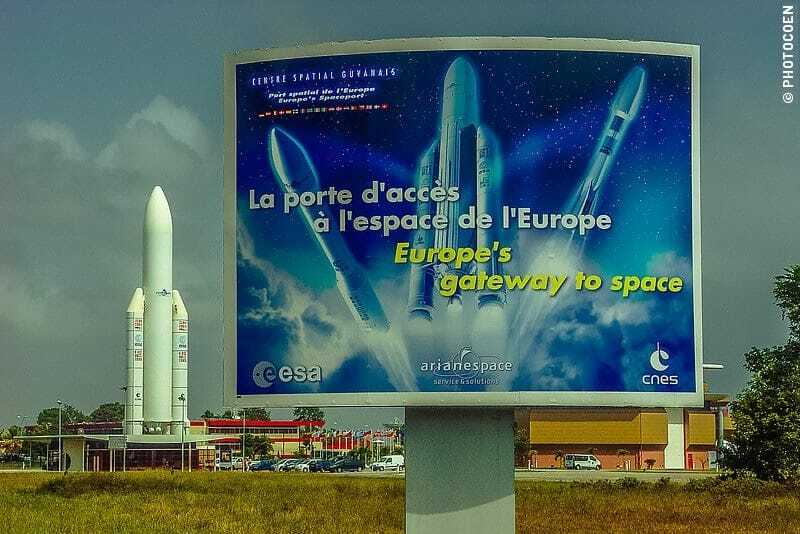 Europe’s Space Center lies in South America? Yes. French Guiana is not an independent country but an overseas department of France. 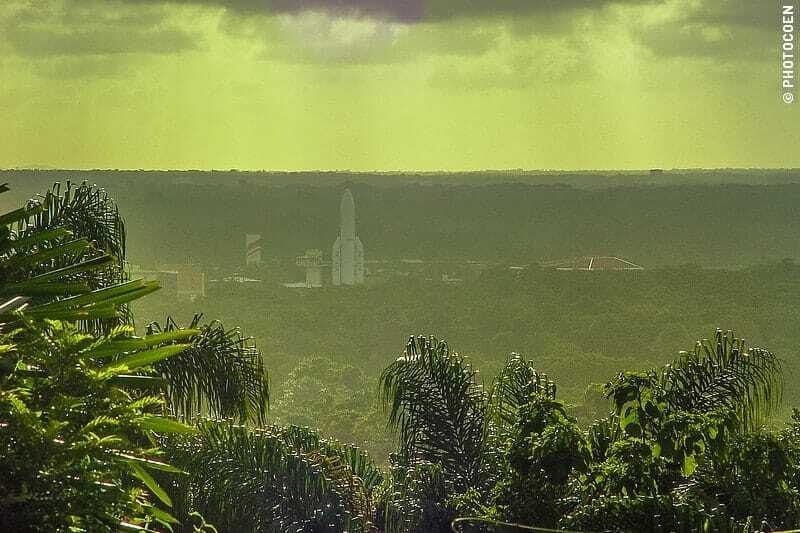 All rocket parts are shipped in from all over the world and the rockets are assembled on the launch site in Kourou. On-site is an extensive museum about the space center’s history and projects, and you can visit the site on a three-hour guided bus tour. You can watch rocket launches pretty much from anywhere along the coast (there are some 5 to10 per year), or sign up for a space center’s bus that will take you to one of the hills that surround the site and see the launch from quite up close. For a long time there was widespread debate whether Papillon, written by Henri Charrière, was autobiographic or not. 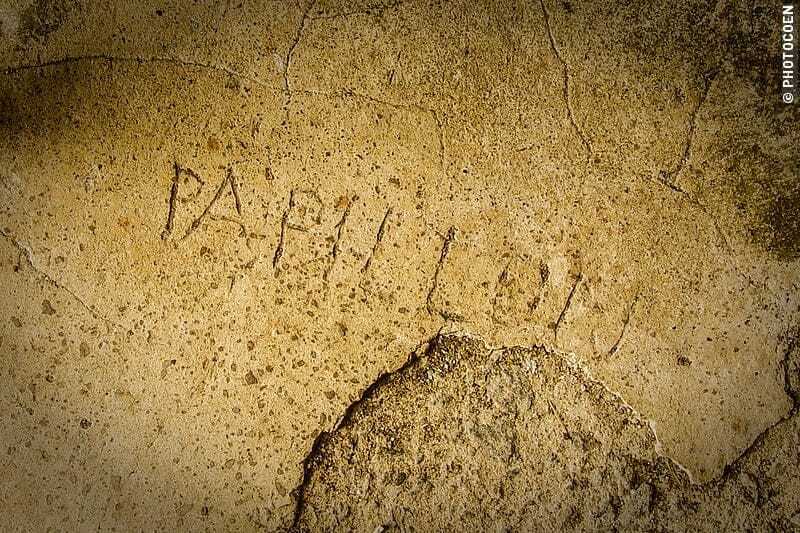 Archives have proved it is not but Henri Charrière was a prisoner here – you’ll find his nickname Papillon carved in a cell. It is assumed that his story is a combination of his and other prisoners’ experiences in the penal colony that served as such from 1850-1953 (read more here). 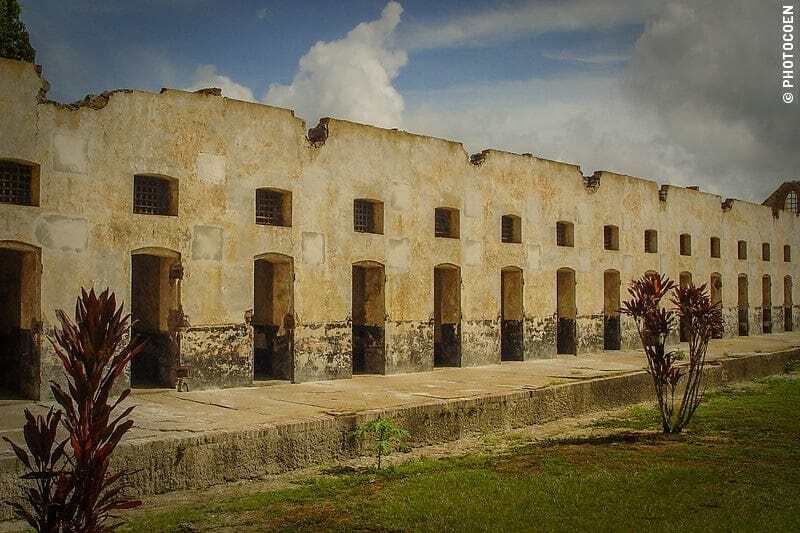 There are two places of particular interest: The transportation camp in Saint Laurent de Maroni, where the prisoners arrived from France, and the impressive ruins in the tropical forest of the famous Devil’s Island/ Îles du Salut. 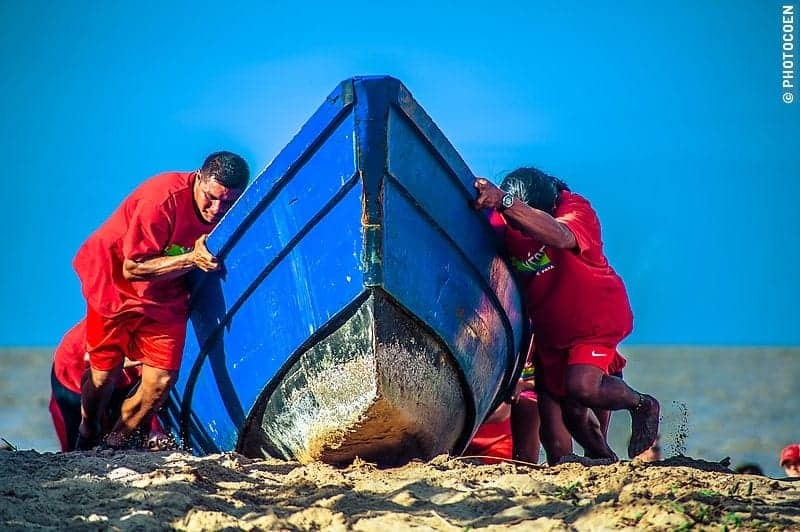 About ten years ago, the Kali’nas, one of French Guiana’s indigenous groups, started organizing annual games to challenge each other in traditional games and contests. 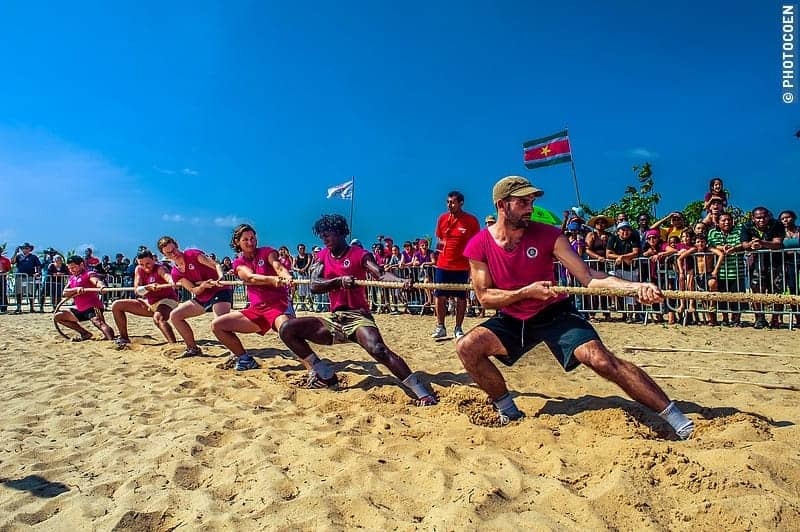 Nowadays various indigenous groups, French Guyanese, French and even international teams participate in the weekend-long, adrenaline-filled event. 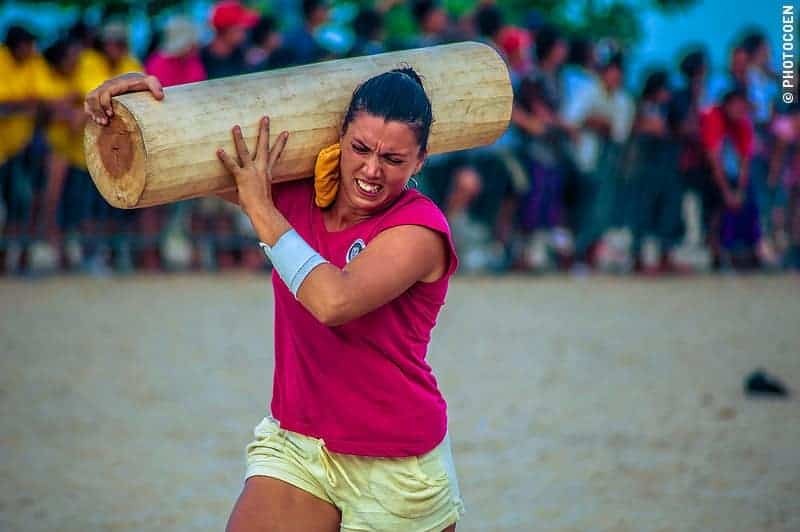 It’s quite a spectacle watching people climbing coconut trees, throwing spears, pulling a fishing boat ashore, and running while carrying a 20-kilo tree trunk. Who knows, perhaps you can join a team. In some parts of South America sloths are still hunted for their meat and many die in deforestation projects because at 400 meters per hour they are not fast enough to escape from the forest when the bulldozing starts. 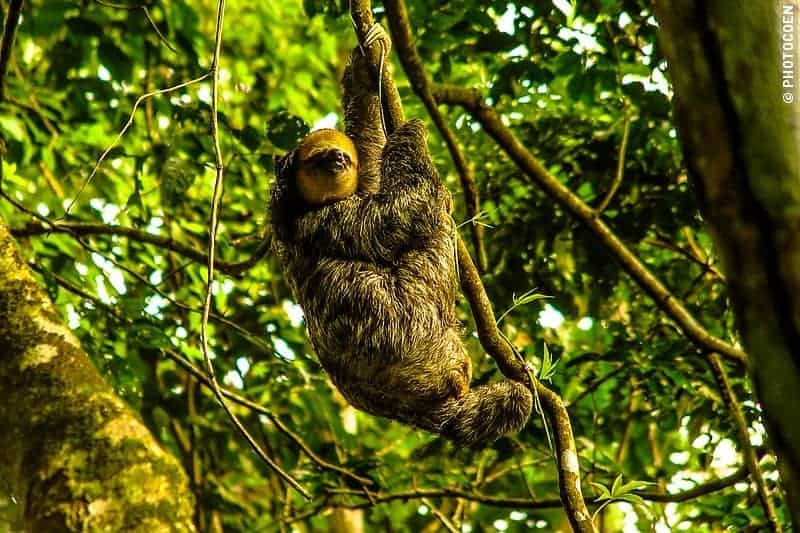 French Guiana, however, has a relatively strict policy on protecting sloths, and as a result it’s the best place in South America to see them in the wild. Especially the Rorota Trail just outside Cayenne is a well-known home for them. 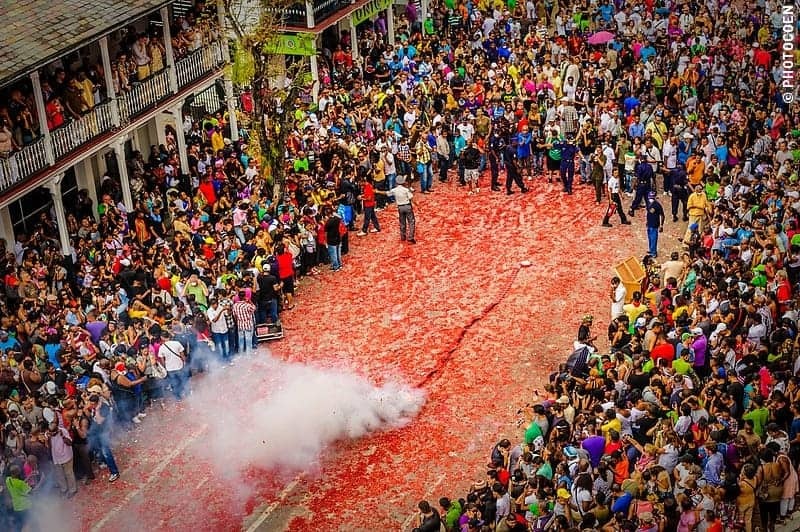 The most important part of Suriname’s New Year’s Eve is celebrated during the day, smack downtown, instead of in the evening at somebody’s home. 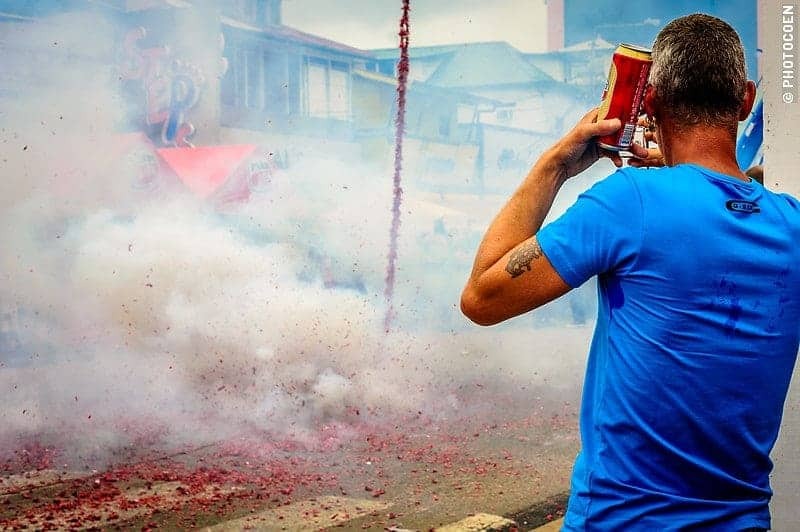 Around noon Paramaribo’s center is packed when a twenty-minute roar starts as a line of two kilometers of firecrackers is lit. Bring earplugs, and your camera. This is the start of an afternoon-long binge of drinking and dancing in the street. During colonial times, many slaves in Suriname fled from plantations and hid in the rainforest. Their descendants are called Maroons. 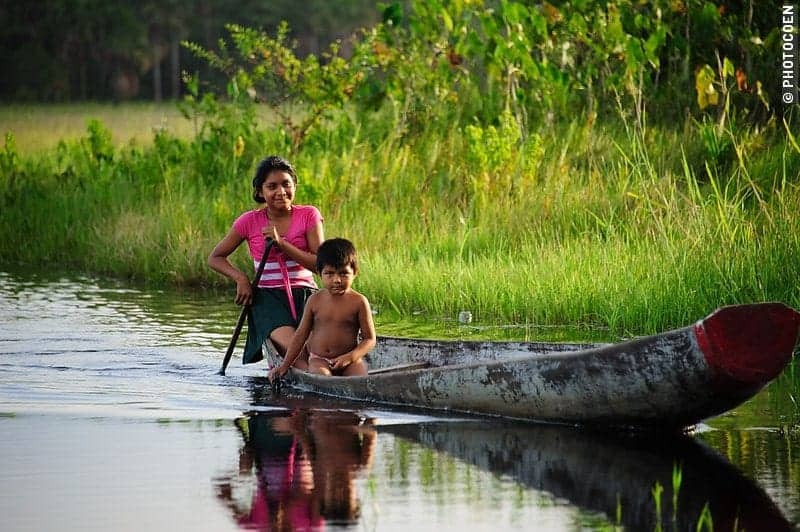 Many still live in the rainforest, in villages that can only be accessed by boat. 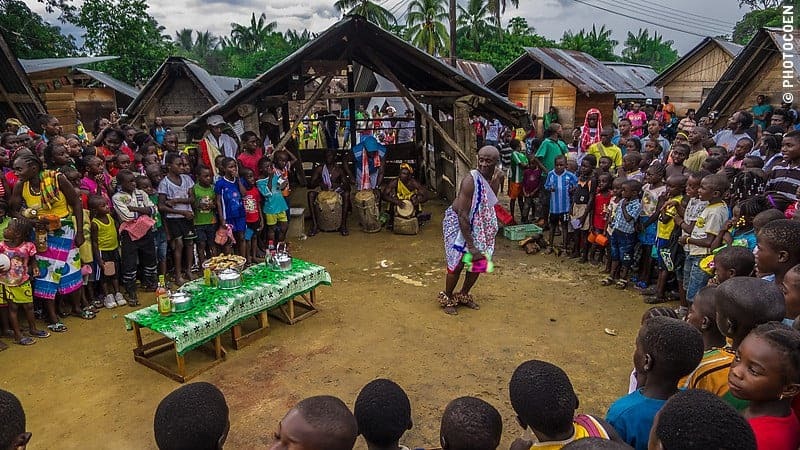 While many have converted to Christianity, ancient traditions and rituals are still very much part of their lives. 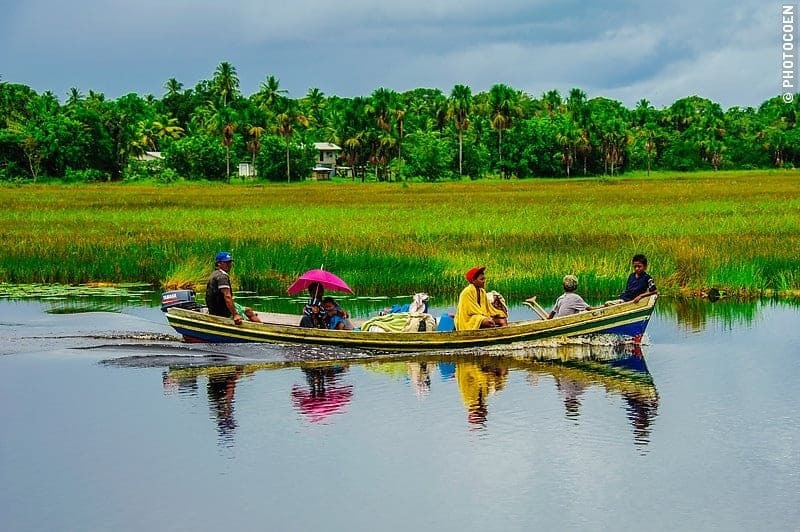 Especially the community of Pikin Slee is known for its traditional way of life. 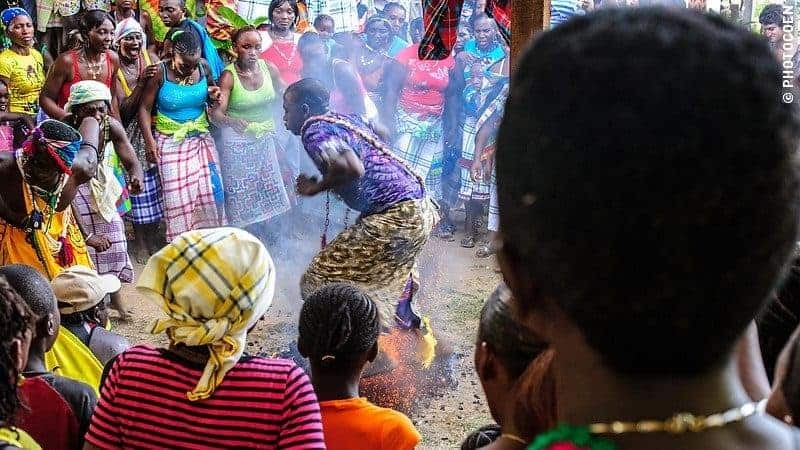 This is the place to see winti rituals such as dancing in fire and over burning coals or unique celebrations that are part of their burial rites, which include dancing and the deceased’s family throwing gifts to the public (read more about visiting Suriname’s rainforest here). 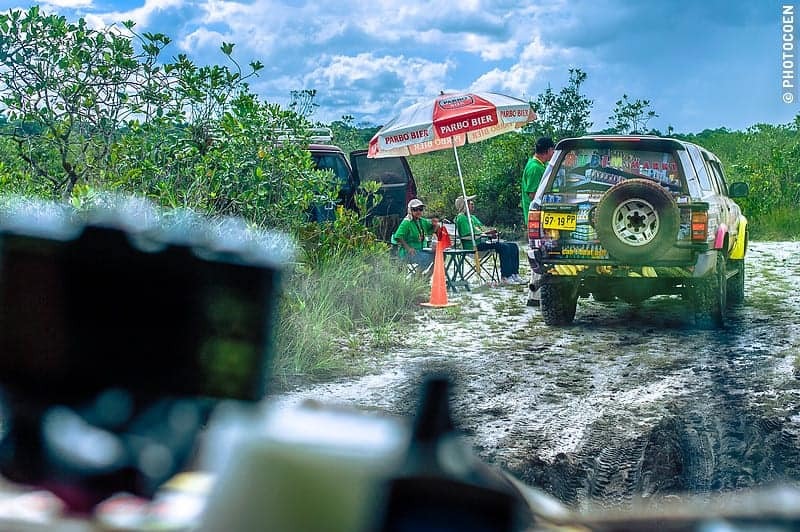 In the beginning of November some 100 teams, national and international, set out to conquer Suriname’s savanna. 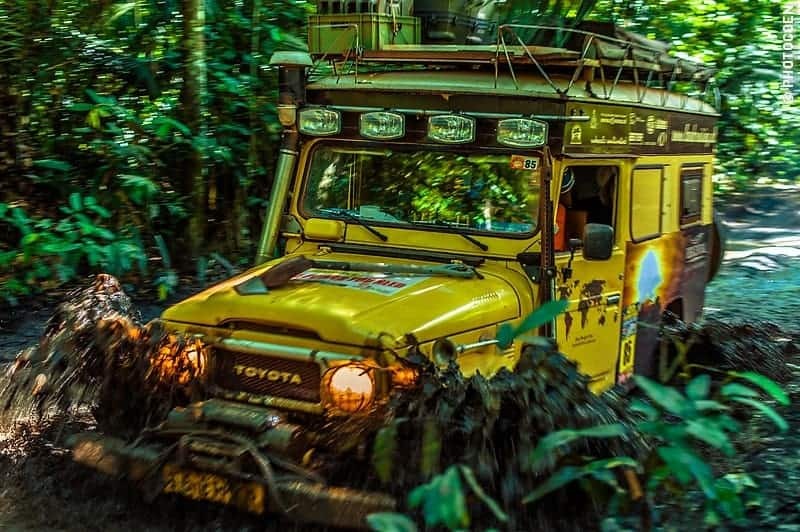 Next to the Dakar Rally, it’s South America’s biggest off-roading spectacle. Foreigners can rent an equipped four-wheel drive for the event. 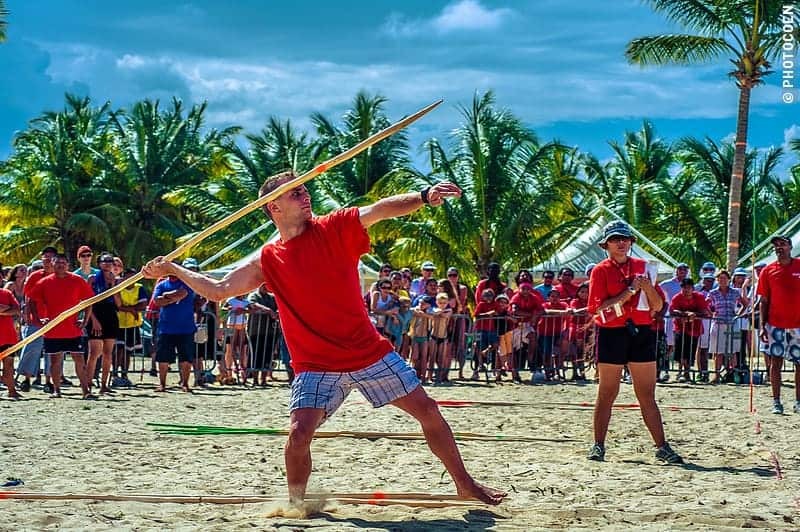 Signing up is a way to be part of a fantastic Surinamese happening, and to see an extraordinary part of the country’s geography, one that is generally omitted from the tourist trail. For information, contact SARK. More on Suriname’s car rallies here. One of the first things Guyanese will mention to visitors is ‘their’ bridge. They pride themselves on the 1851-meter-long Demerara Harbour Bridge, which is a chain of steel pontoons that are kept in place with cables. 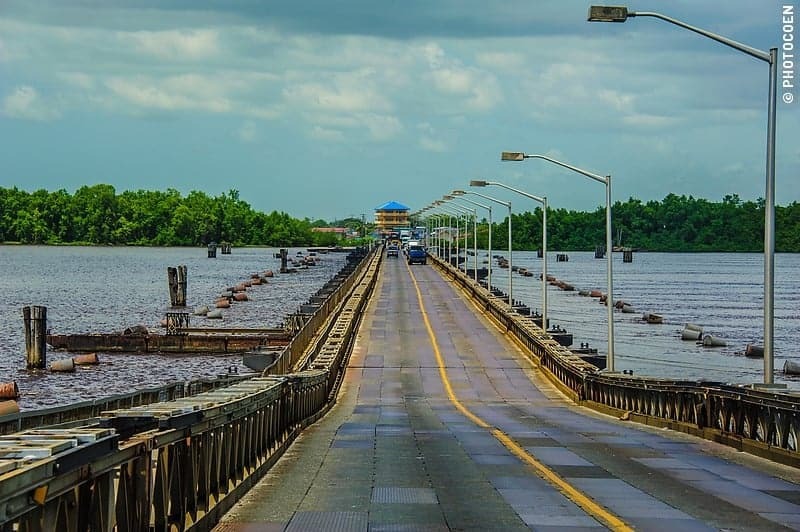 It crosses the Demerara River, was constructed in the 1970s and is daily used by some 14,000 vehicles. The Awaraks are an indigenous group that lives in the rainforest of west Guyana and can only be reached by boat. They lost many of their traditions as well as their language due to the pressure by missionaries to learn English. 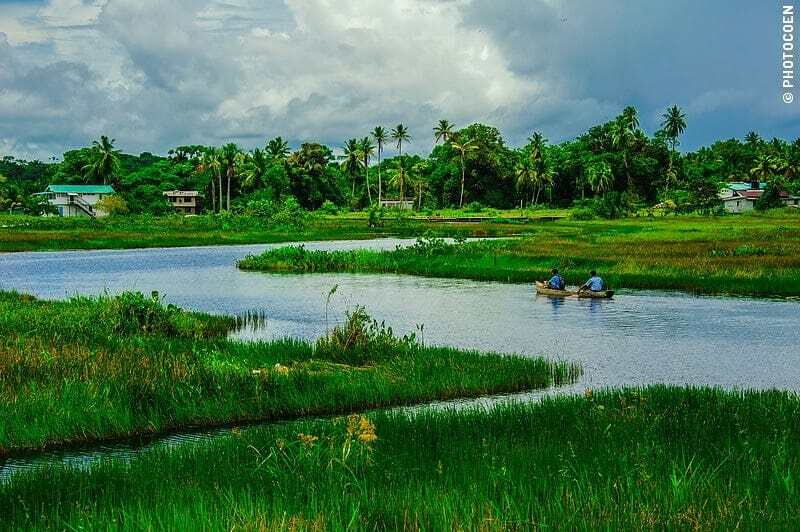 However, some traditions have remained like canoeing through savanna-like wetlands, which are some of the most peaceful places you can find yourselves in (read more here). 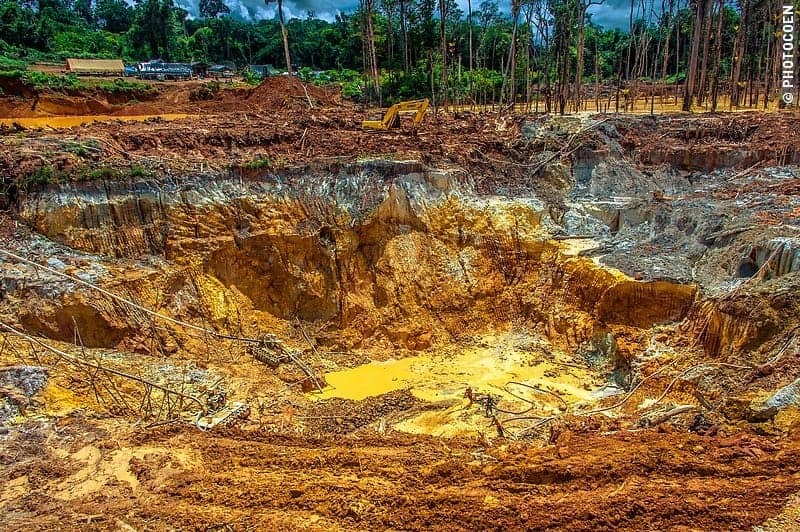 Whereas in French Guiana and Suriname we were discouraged from going into the interior, in Guiana, we were encouraged to visit Mahdia, Guyana’s largest gold mining region. As the business here is largely legalized, it is under the supervision of police and environmental organizations. We felt safe and welcome. 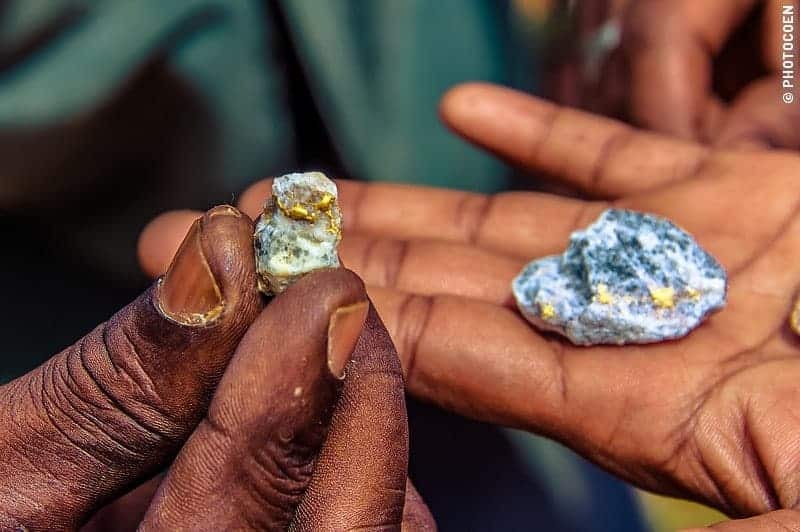 The following example characterized the good vibes: As a guard guided us through the latest ‘Shout’ – a place where a new gold vein has been discovered that will bring in millions – outsiders were sweeping the same area with metal detectors. When we commented on this our guard said, “No problem. There is enough. This is how we all started so we give them a little slack.” So if you have the inclination to search for gold, this may be a place to start. This article originally was published on Matador Network. Awesome Post..! Really mesmerizing. The pictures are really tempting and urging me to go there. Interesting to see the people’s lifestyles and rituals. Definitely a must go place and adding it to my bucket. “None of the Romance languages are spoken here”? Then you go on to say French is one of the languages spoken? Thanks for pointing that out – fixed it. You’re very welcome. And excellent blog with such wonderful photos! I look to following your adventures. Goede reis! Looks like such a fascinating places, Amazing pics.